There is nothing like watching a live show performed in front of you, and sitting back and listening to live vocals, watching a company of dancers showing off their moves and revelling in the colourful costumes on display. So why not incorporate a theatre style show with a short adult break in Norfolk? At Potters a short break includes comfortable accommodation, food, live evening and late night entertainment, sports and leisure facilities, activities and more. And a drinks inclusive* weekend offers even more value with drinks included from 6pm until close of bars. So, you don’t need to worry about how to get home at the end of the night or how much you’re spending as everything is included in the cost of your break! Did you know? Providing the very best entertainment has always been at the heart of Potters with live entertainment staged 365 days a year. Potters Resort has an in-house theatre company to entertain guests named Potters Theatre Company. The talented and accomplished group of performers are recruited from large auditions in London’s West End, and every year the team develop new and exciting shows. From concept, through to costume design, comedy writing, lighting, videography, music production, set building and choreography, the company literally create everything from scratch. Shows include song, dance and comedy, and live entertainment is staged in the state-of-the-art Atlas Theatre. 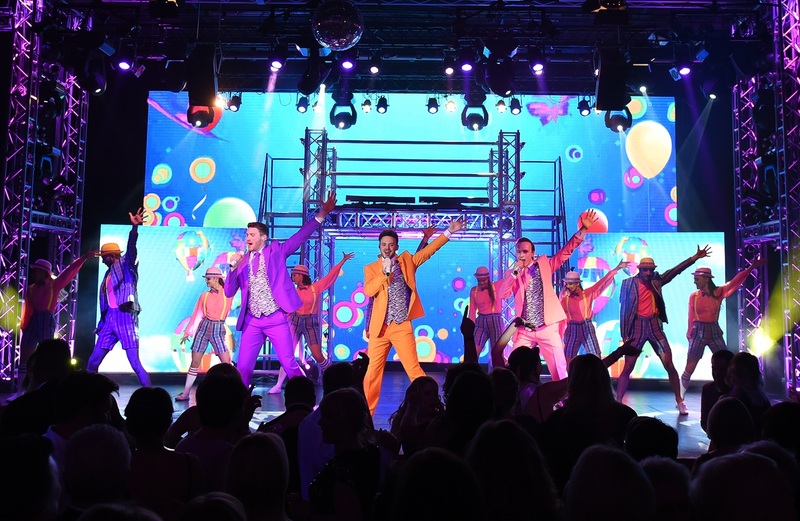 New shows are produced every year and the latest show productions feature the best loved songs from stage and screen, as well as the annual Christmas Spectacular. One night we will showcase the very best of the West End, and the next, performing music spanning every genre and decade. Add in our unique brand of comedy and there is something for everyone. Over two million pounds is invested in the entertainment at Potters Resort every year and the Atlas Theatre is the culmination of decades of work. Did you know? The Atlas Theatre can seat 900 guests, offers performances 365 nights a year and features one of the longest bars in the UK. The Atlas Theatre is big enough to fit a Boeing 747 inside! Lee Mead - Since winning the title role in the 2007 West End revival of Joseph and the Amazing Technicolor Dreamcoat through the BBC TV casting show Any Dream Will Do, Lee has had subsequent roles in musical theatre hits such as Wicked, Legally Blonde and Chitty Chitty Bang Bang. Lee has released three successful solo albums and also appeared as ‘Lofty’ in the BBC One drama Casualty. Lee joined Potters Theatre Company in 2003. Kerry Ellis - Kerry worked at Potters while training at Laine Theatre Arts, where she gained a national diploma in musical theatre. Since then she has appeared in major West End hits, such as My Fair Lady, We Will Rock You and Les Miserables. One of her most memorable roles to date has been playing the lead role of ‘Elphaba’ in both the West End and Broadway versions of Wicked, winning numerous awards and international recognition. She has released two albums and performed regularly with Brian May, lead guitarist with legendary rock band Queen. 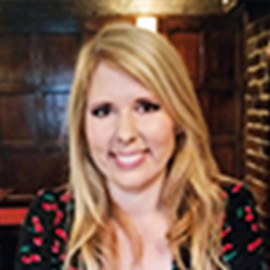 Leanne Mitchell - Leanne was only a teenager when she started at Potters and was part of the Theatre Company for ten years. She won the first ever series of BBC TV’s The Voice in 2012, and has since gone on to perform around the world. Leanne often visits Potters, the place she called home for many years, regularly returning to Potters to make surprise guest appearances. Leanne’s husband, Rob, still works for the company, and they welcomed their son, Leo, in 2014. Andy Mace - Andy Mace left Potters in 1996 to go straight into his first role in the West End that same year in the Laurence Olivier award-winning show Martin Guerre, Andy has appeared in many other hits including Legally Blonde and Wicked. He is currently starring in West End musical The Lion King. Ian Macintosh - As well as working with Potters Theatre Company, Ian has been a regular visitor to Potters as both his uncle and grandfather worked here for many years. Ian has appeared in many West End musicals and UK tours, including High School Musical 2, Hair, Rock of Ages and The Commitments. Ian was nominated for a 2015 Olivier Award for ‘Best Supporting Actor in a Musical’ for his role playing Barry Mann in the smash hit musical based on the life of Carole King, Beautiful. Did you know? Potters Theatre Company became a fully professional team in the year 2000, after the entertainments team were inspired by the spectacular shows in Las Vegas, and auditions in London’s West End soon began for trained and exceptional performers. We receive hundreds of applications every year from performers wishing to audition and become a Potters Theatre Company member. The quickest costume change to date is three seconds.